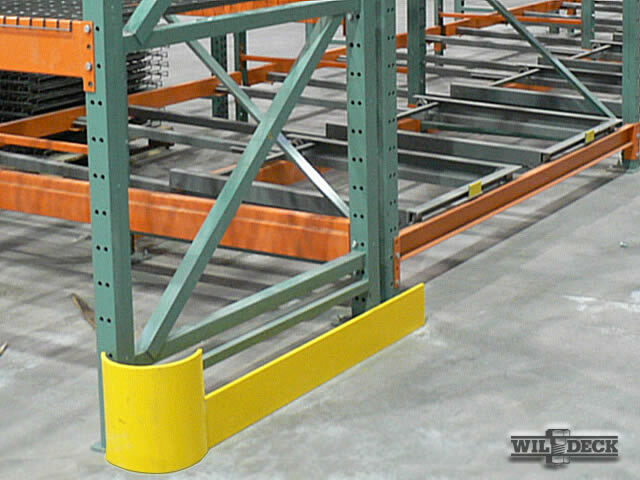 Wilgard® XT Rack Protectors are extra tough and have been designed for heavy-duty protection in high traffic areas. 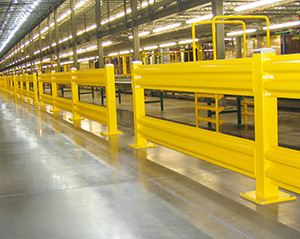 They are a highly effective solution for increasing warehouse and distribution center safety, and preventing damage to expensive rack and inventory. 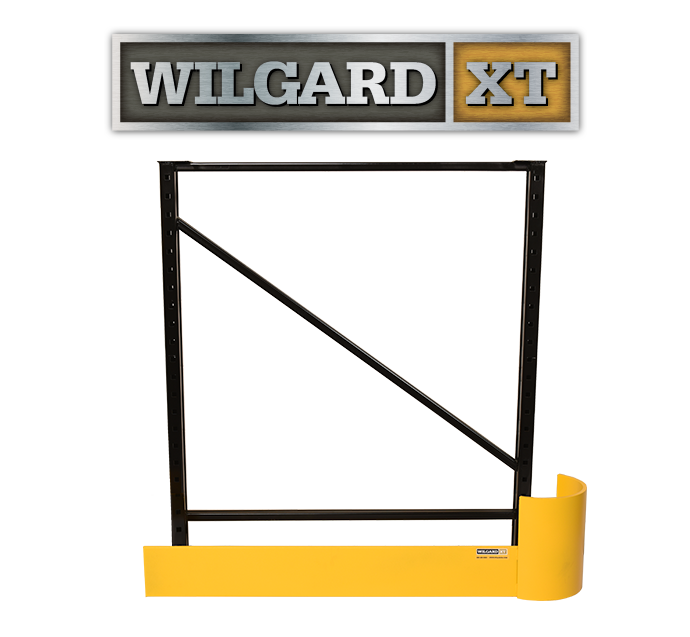 Wilgard® XT Rack Protectors are available as individual 'Right-' or 'Left-Side' rack protectors, or as a combined 'Double-Headed' rack protector. 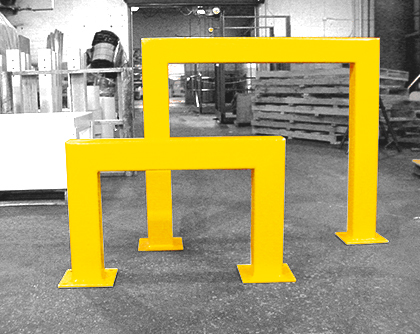 Wilgard® XT End-of-Aisle Rack Protectors have a durable, safety yellow paint finish and can take the punishment that forklift trucks dish out every day. 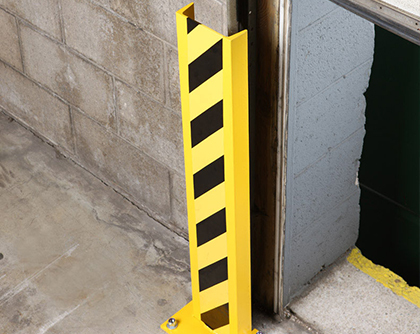 When properly secured to your concrete floor with the included 3/4” x 6” anchors, Wilgard® XT rack protectors will help guard your investment without affecting aisle traffic flow patterns. 26" Right Side Protector WRPXT26-R 28 1/2" 61 lbs. 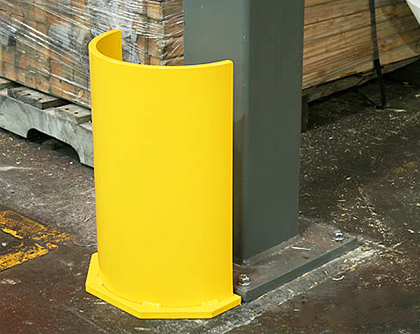 26" Left Side Protector WRPXT26-L 28 1/2" 61 lbs. 36" Right Side Protector WRPXT36-R 36" 74 lbs. 36" Left Side Protector WRPXT36-L 36" 74 lbs. 42" Right Side Protector WRPXT42-R 44 1/2" 83 lbs. 42" Left Side Protector WRPXT42-L 44 1/2" 83 lbs. 48" Right Side Protector WRPXT48-R 50 1/2" 94 lbs. 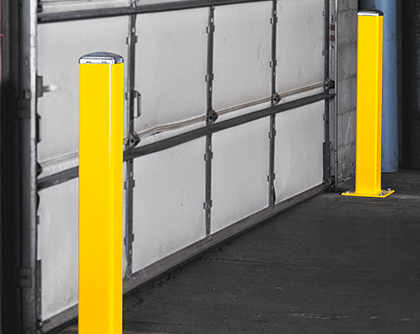 48" Left Side Protector WRPXT48-L 50 1/2" 94 lbs. 60" Right Side Protector WRPXT60-R 62 1/2" 113 lbs. 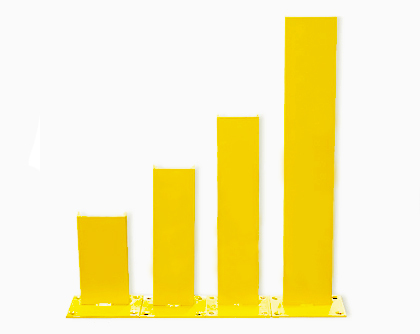 60" Left Side Protector WRPXT60-L 62 1/2" 113 lbs. 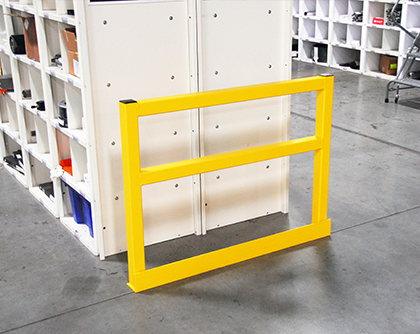 72" Right Side Protector (custom) WRPXT72-R 74 1/2" 136 lbs. 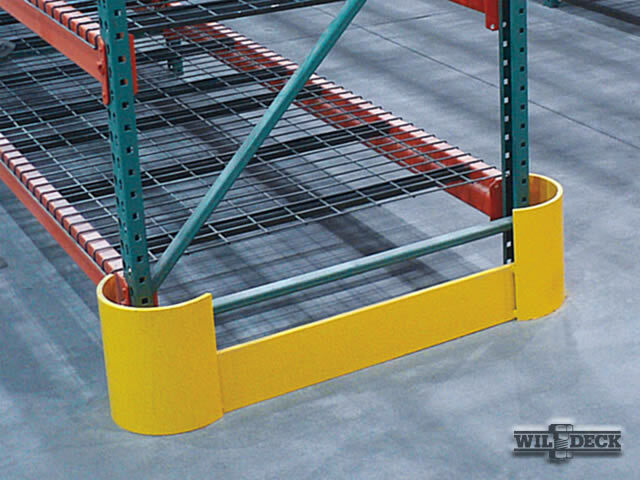 72" Left Side Protector WRPXT72-L 74 1/2" 136 lbs. 48" Extension Angle - XT* WRPXT48-EXY 47 1/2" 67 lbs. 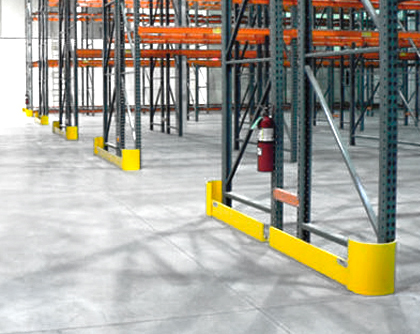 3/4” x 5” Anchor Pkg. (3 anchors) WGR-PXHP N/A 3 lbs. 42" Double-Headed Protector WRPXT42-D 48" 113 lbs. 44" Double-Headed Protector WRPXT44-D 50" 116 lbs. 48" Double-Headed Protector WRPXT48-D 53 1/2" 121 lbs. 60" Double-Headed Protector WRPXT60-D 66" 138 lbs. 96" Double-Headed Protector WRPXT96-D 102" 189 lbs.